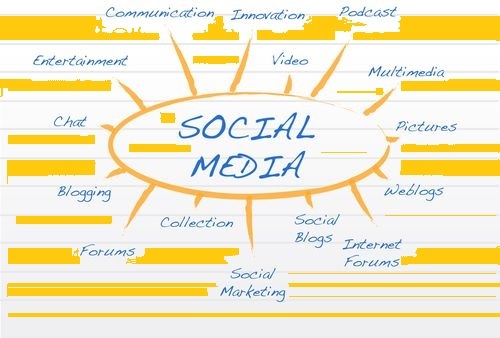 Social media are characterized by the possibilities of interconnection and interaction between user and content created by users themselves. Classified into certain types or categories according to the nature and usefulness. The most well-known social medium, Facebook, belongs to the broad category of social networking, where falls and LinkedIn, but which has professional orientation. MySpace is especially popular with artists and Hi5 young audiences. Other internationally known social networking platforms are Bebo, the Diaspora, the firendster, the Xing and Orkut. Greek example social networking is the Pathfinder Me. Twitter is the most striking example of micro blogging. Micro blogging characteristics are and Tumblr, Foursquare, Posterous, Google Buzz, Jaiku. Blog and Blogging: Blogger, WordPress, LiveJournal, ExpressionEngine, Typad, and the Greek Pathfinder Blogs.